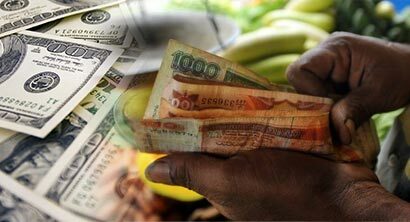 The Sri Lankan rupee touched a fresh low of 165.10 per dollar on Monday, due to higher dollar demand from importers and banks to facilitate foreign bond outflows amid exporters who were reluctant to sell the U.S. currency, market sources said. The Sri Lankan rupee touched a fresh low of 165.10 per dollar, Reuters data showed, surpassing its previous low of 163.60 hit in the previous session. It ended at 165.00/30 per dollar, weaker from Friday’s close of 163.60/70. The sources said an illiquid market for dollars, dollar buying by foreign banks to facilitate bond outflows and importer demand weighed on the currency. Sri Lanka’s finance ministry would not intervene in exchange rate management, junior finance minister Eran Wickremaratne said on Thursday at an economic forum, adding that the central bank would intervene as and when necessary to curb excess volatility in the exchange rate and also punish speculators. The country’s central bank cut the net open positions of the banks on Sept.6 to increase dollar liquidity, forcing commercial banks to sell dollars. Since last week, currency dealers have been refusing to speak to the media, citing instructions from the central bank. However, central bank Governor Indrajit Coomaraswamy said late on Tuesday that he was unaware of any such move. The Sri Lankan rupee has weakened 2.1 percent this month after a 1.2 percent drop last month, and has declined 7.4 percent so far this year. The currency has also been hurt by weakness in the Indian rupee. India is Sri Lanka’s biggest trading partner and the Indian rupee, which also hit a record low on Wednesday, is Asia’s worst performing currency this year. Foreign investors sold government securities worth a net 2.6 billion Sri Lankan rupees ($15.78 million) in the week ended Sept. 12, extending the net outflow so far this year to 55.9 billion rupees worth of securities, central bank data showed. If this is continues trend in the market it will have a big impact to the economy. CBSL never acted on this so far. CB Governor should provide a statement on this and should step away from his duties. Finance Ministry should take a quick action else this impact will become a big burden to the country and its sustainability.